A talk like this could have been an additional element in our closing Plenary panel on ‘the Scandinavian Model in international perspective’, hadn’t Stefan Löfven just been elected new leader of the Swedish Social Democratic party – which meant he had quite a lot to do after a period of crisis for the party. The panel had researchers, and labour market parties but no one from politics. Löfvens interesting talk ends up concluding that there is a need for a global compromise between labour and capital. So the Swedish model of ‘the middle way’ seems to be still alive. The talk was given at a seminar on ‘Decent capitalism‘ in Nov. 2011. 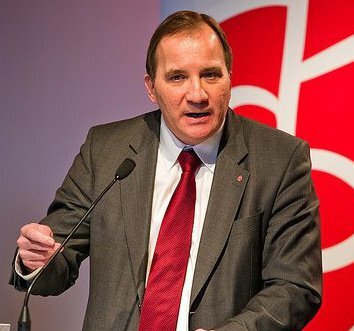 Stefan Löfven was a metal worker, became chairperson of the Metal Workers union and now leader ofthe Social democrats. He is interested in both industrial development and competitiveness and in workplace development and education and research. Ever since the closing of the Arbetslivsinstitutet/ NIWL he has been arguing for the need for a new Working life research institute.